Home » What Makes Us Unique? 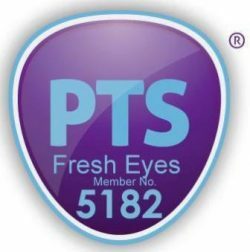 Fresh Eyes – People to People Travel is a not-for profit Community Interest Company which is committed to socially responsible tourism. Travel with us and enable an increase in resources to benefit the women, men and children who live in our host communities in Asia and Europe. Travel and Solidarity working together. We do not make a profit but invest any surplus back into the communities with whom we travel. So no profit motive, only a commitment to offering fairly priced travel and so supporting the economic and social development of host communities and organisations in Asia and Europe. We have our Community Interest Statement which is a key part of our legal registration. This means that we are legally and morally bound to commit any surplus to support communities where Fresh Eyes is working, and other related organisations working for social justice. We are also committed to report on this at least once a year to the Community Interest Company regulator as part of our annual report. We will of course share regular updates of what we are doing with our partners, travellers and friends. We are committed to work with both our partners in Asia and Europe and our travellers in an open and transparent way. Travellers and partners all know what everyone pays and is paid, what a Just Tour costs and who receives what. We are also committed to share with travellers and partners our annual accounts and our annual Community Interest Statement. We work in partnership with organisations and communities in Asia and Europe. We aim to work with these partners on a long-term basis developing close, transparent and mutually beneficial working relationships. Through the Fresh Eyes Community Solidarity Fund we support the community organisations and social movements that our travellers meet and who Fresh Eyes work in partnership with as well as other related organisations working for social justice, contributing to lasting change. We work with travellers so that they can travel well. We will provide travellers with accurate pre-trip information on the social and political situation and with suggestions of ways to minimise negative impacts on local communities and cultures. We promote other innovative organisations and people such as DrinkSafe and Incognito for ways in which travellers can minimise negative effects on themselves and the communities that they visit. Andy has over 35 years of experience of travelling in communities in Asia, Africa and Latin America, of working with community organisations and social movements committed to a more just and equal world. Within the constraints of our organisation’s size, we encourage and support practices and policies that ensure that the benefits of the world’s tourism industry are maximised for local economies, ideally have a positive impact on broader development and promote greater social and economic justice in the host countries. All these actions together contribute to Travel and Solidarity working together and enable travellers to make a difference.